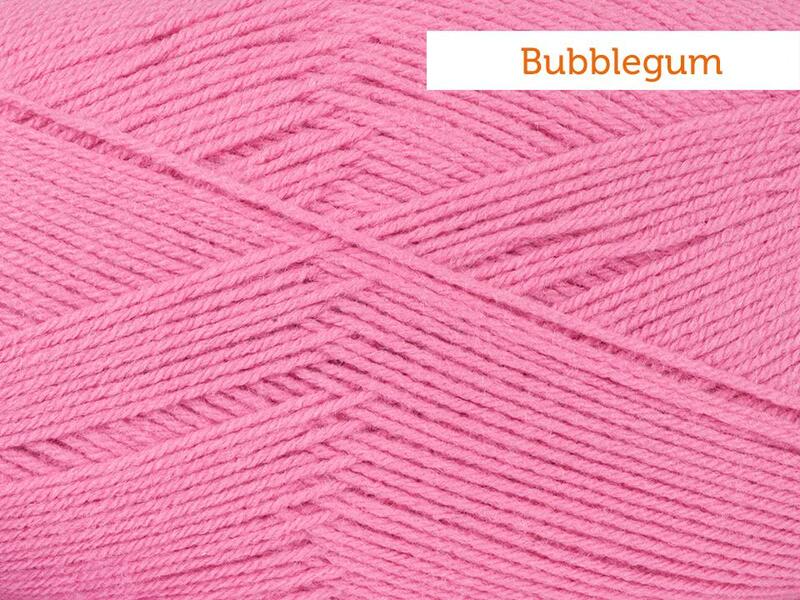 Fiber Flux: Color Inspiration: Bubblegum Pink! 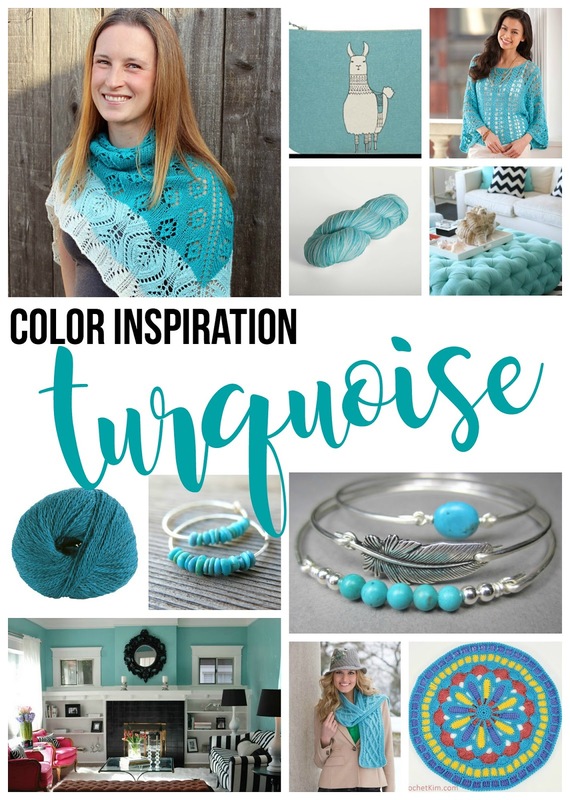 If you're looking for a little color inspiration, you've come to the right place! 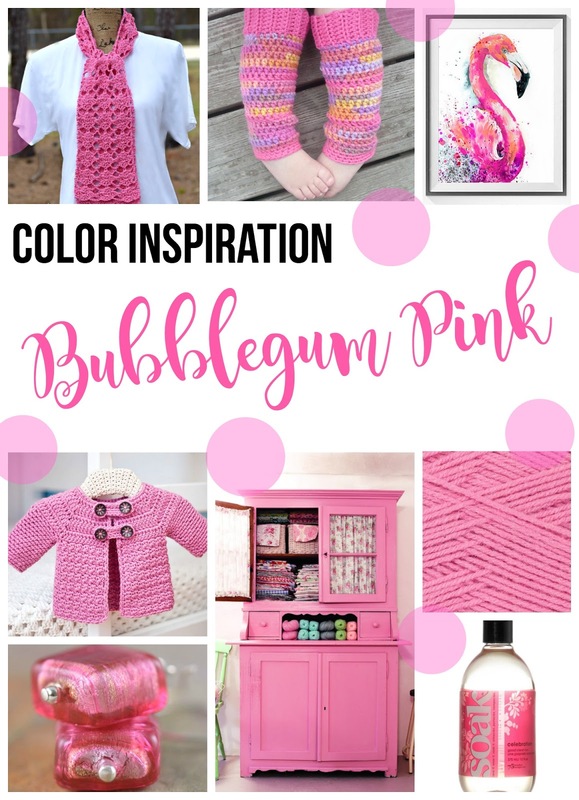 This month we'll be exploring bubblegum pink...a super fun and happy color! Included are some fabulous free patterns and yarn (of course! 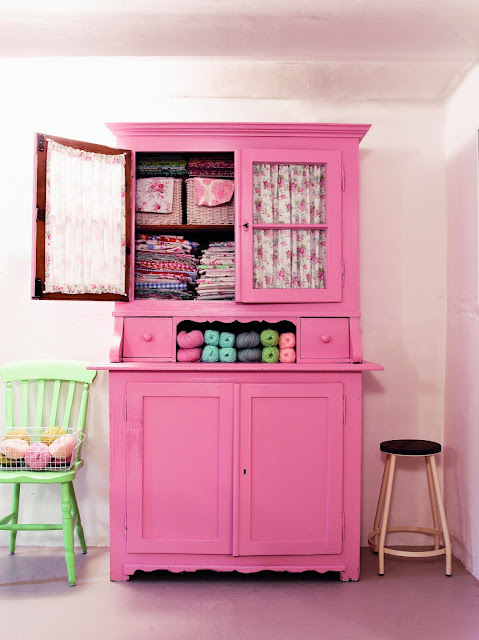 ), but I've also included some things found on Etsy, and incorporating a pop of pink into the home. Enjoy! First up is this (free!) gorgeous, lacy scarf from ELK Studio in a perfect shade of pink! Lion Brand Pound of Love via Craftsy comes in a colorway that is actually called "Bubblegum" So much fun! For washing your hand stitched items, have you tried Soak Wash yet? This wash is very gentle and is suitable for hand washing, but you can use it in the machine too. It comes in lots of amazing scents...I couldn't resist this fun pink label! Here's one for the knitters, my very own Bubblegum Cowl! 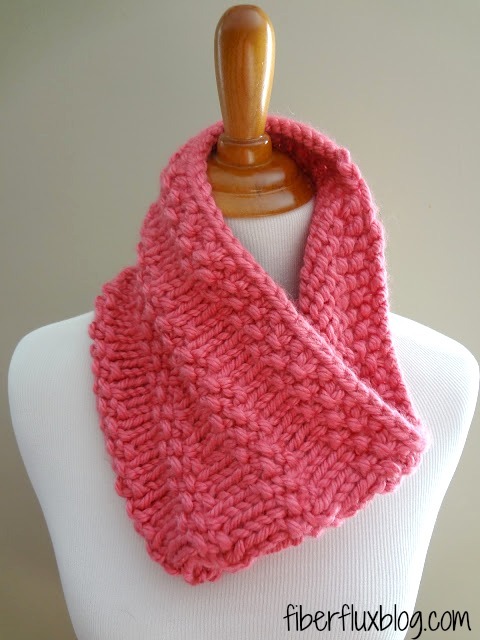 Knit in easy and beautiful seed stitch with alternating stockinette stripes, this cowl is quick to work up in bulky yarn and full of great texture! 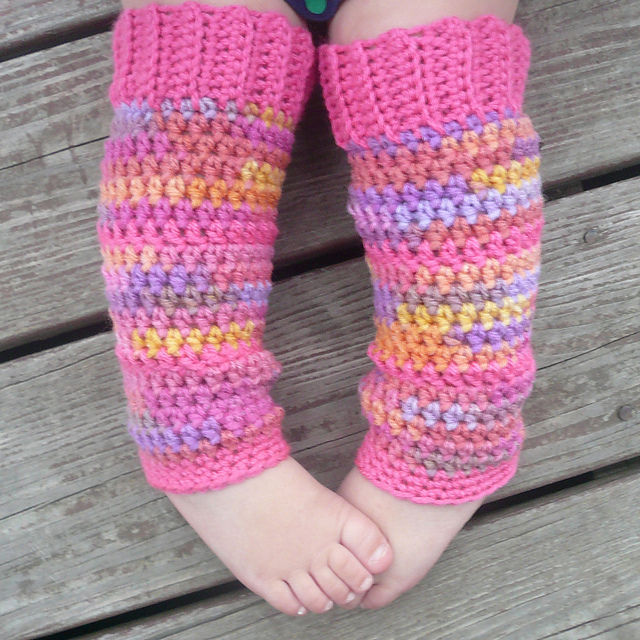 Let's hop over to Etsy shall we? 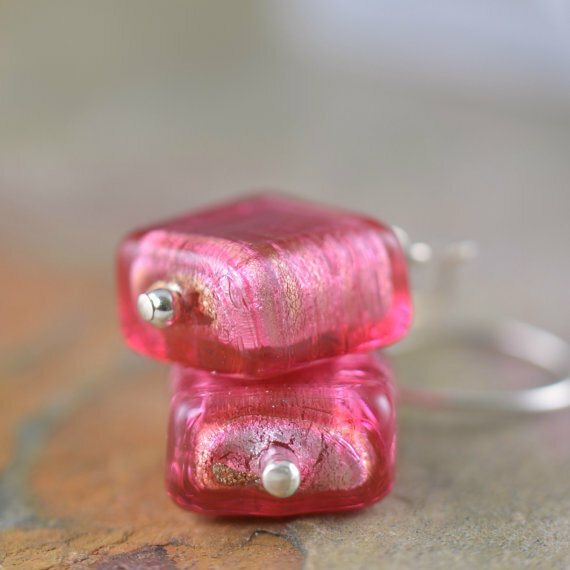 Check out these Murano glass earrings from South Paw Studios...lovely! 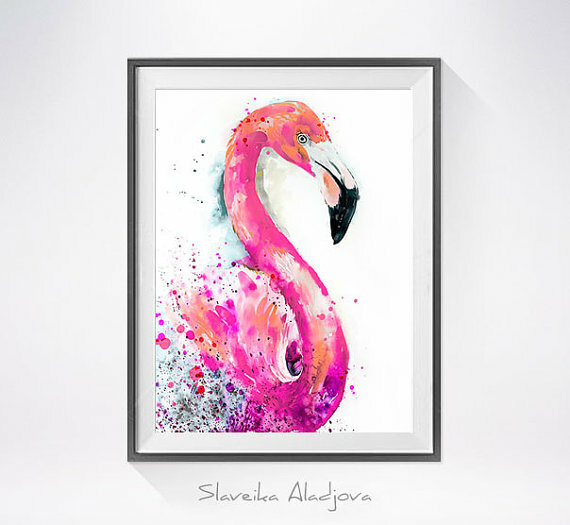 I'm loving this flamingo watercolor print from SlaviART...would definitely add a ton of fun to any room! 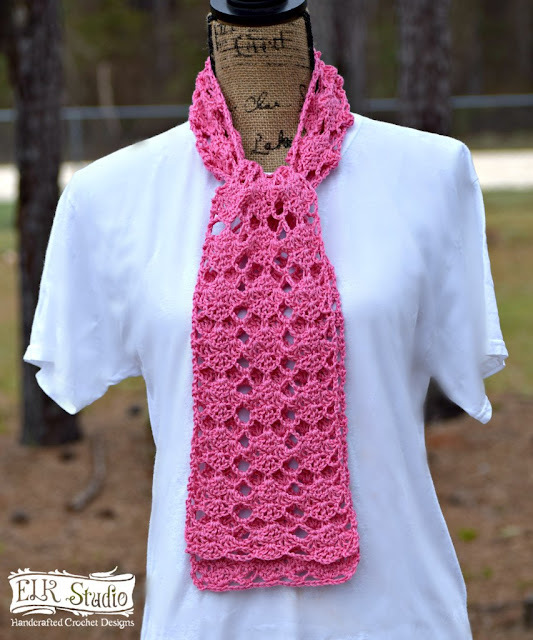 How about another free pattern? These adorable baby legwarmers from Danyel Pink Designs are easy to hook up and are totally cute! 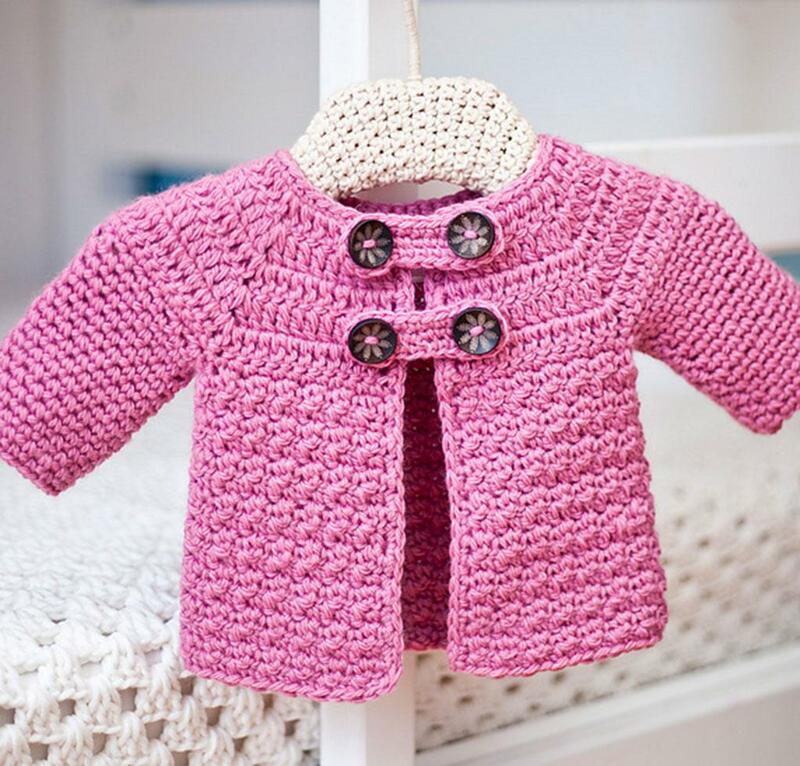 This sweet little sweater kit from Mom Petit Violon via Craftsy would be perfect with the legwarmers above...comes with the pattern, plus included 100% cotton yarn (Schachenmayr Catania Grande). So pretty! The ladies of the Lolly Jane Blog have put together a fun collection of pink home decor projects...if your feeling bold, how fun would this bubblegum pink hutch be for storing yarn? Love it! What a fun post - I need to look for some of the Bubblegum Pink yarn!